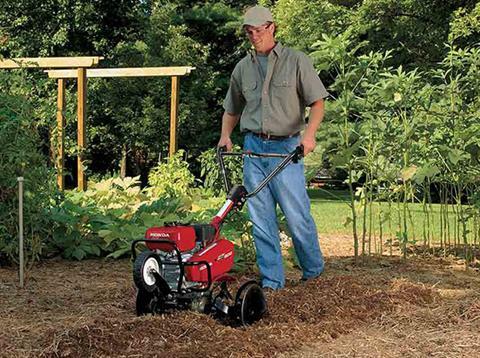 The perfect balance of power and versatility. 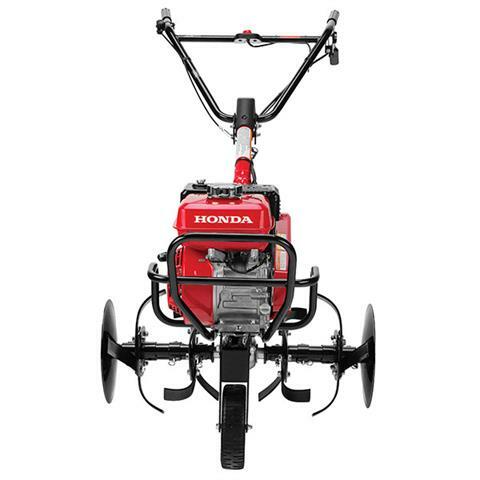 EASY STARTING HONDA OHV COMMERCIAL GRADE ENGINE: Honda GX160 engine is powerful, easy to start, and fuel efficient. 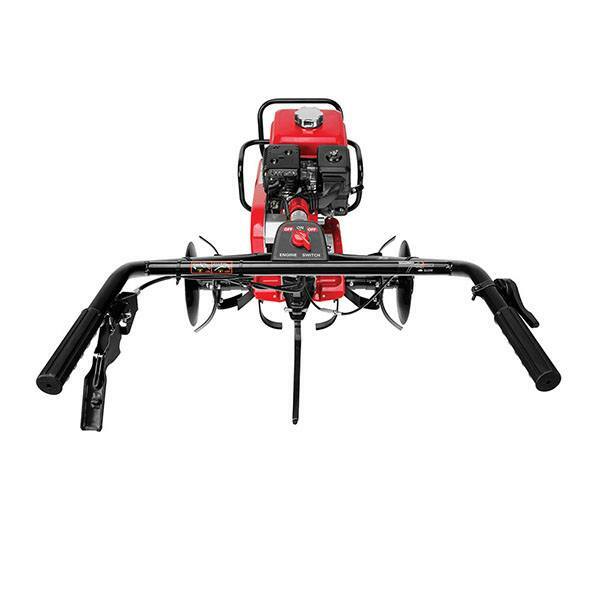 STAGGERED TINES FOR SMOOTHER OPERATION: Provides smooth operation and less vibration, helping to improve tiller performance and minimize operator fatigue. 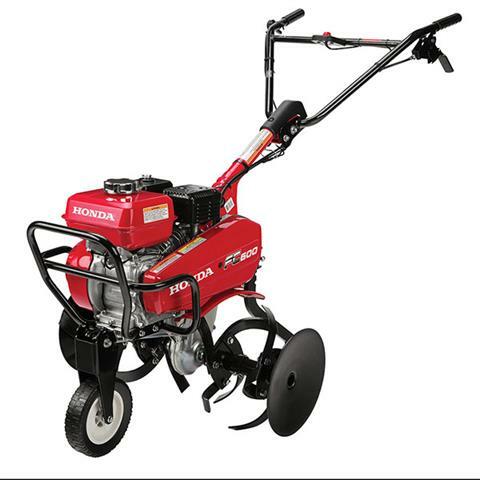 SIDE DISCS STANDARD: Keeps the tiller aligned for neater furrowing, protects plants, and prevents tines from catching fences and sidewalks when tilling close by. QUICK-ADJUST 3-POSITION HANDLE: Adjusts to offer a comfortable operating height, no matter how tall you are. EASY-TO-USE ADJUSTABLE DEPTH BAR: The depth bar makes it easy to control the depth and speed of the tiller. 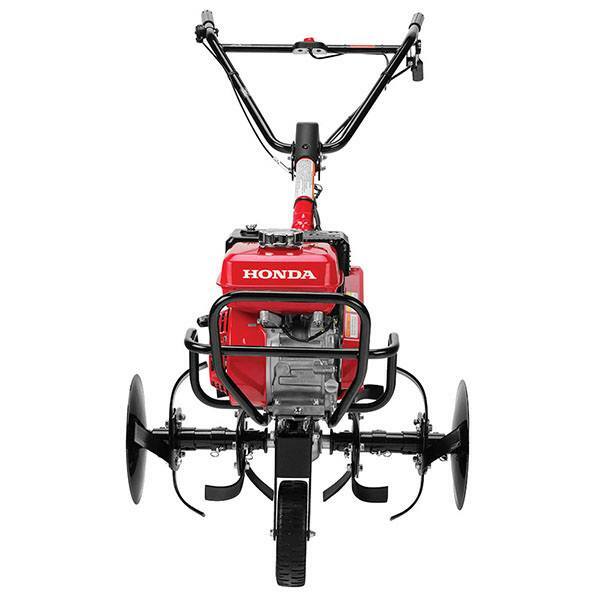 This helps to improve the performance by working the soil more thoroughly. Easy to adjust, with no tools needed. PROTECTIVE FRONT ENGINE GUARD: Front guard provides engine protection and serves as an additional tie-down point. 26 IN. TILLING WIDTH, 14 IN. 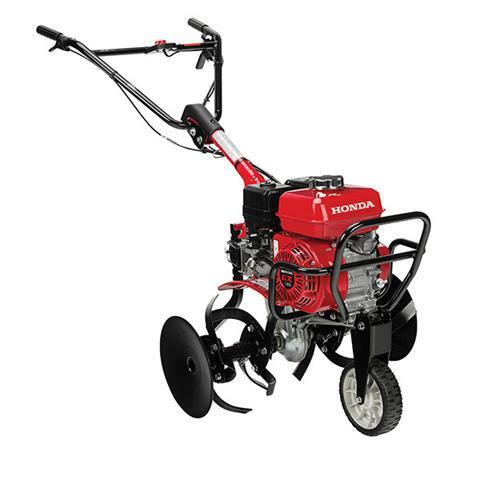 TINE DIAMETER: Make quick work of large tilling areas. DUAL ELEMENT AIR CLEANER: The high quality, premium air filter protects the tiller from its dusty, dirty work environment. COMMERCIAL GRADE FEATURES FOR SUPERIOR DURABILITY: The FC600 offers numerous features designed for tough conditions, including: - Reinforced handlebar - Tine seal shaft protection - Reinforced engine bed - Commercial grade fuel cap and filter - Tine axle seal guards and - Corrosion-resistent muffler. *Price, if shown, does not include government fees, taxes, dealer vehicle freight/preparation, dealer document preparation charges or any finance charges (if applicable). MSRP and/or final actual sales price will vary depending on options or accessories selected. Suggested Retail Price (SRP) excludes destination charge. Visit powersports.honda.com to view applicable destination charge amount.